One of the most enjoyable of New Year's traditions is counting achievements and blessings. Here, from Shivani Gupta of India's AccessAbility in New Delhi, is just one example of how Inclusive Tourism is professionalizing and institutionalizing around the world. Watch for more in 2009! 1. Launch of our Diversity Employment Initiative at www.AccessAbility.co.in/jobs that has brought together over 70 sensitised employers who regularly use this portal to recruit disabled job seekers. Working closely with CII & Naukri.com we hope to extend the reach of this initiative to a pan-India level. 2. Launch of Free2Wheel - www.Free2Wheel.co.in - the first Indian tourist guide for disabled travelers. The travel portal is being advertised by the Ministry of Tourism on the Incredible India home page to promote India as an accessible destination. 3. Our Access Consultancy division has assisted premier brand names in the travel and hospitality industries, higher educational institutes, retail and office complexes and builders in incorporating disabled friendly infrastructure in their existing and upcoming properties. We have also had an opportunity to review and develop some path breaking policies with various Government Ministries. Continue reading Looking Back at 2008: An Example from India. Continue reading Jessica Cox: A Pilot with a Difference. 2008 has been an action-packed year. 88 new Green Map projects got started! This record-breaking number includes well-known cities like Austin Texas, Cape Town South Africa and Seoul Korea alongside lesser-known places like Sharon Ohio and Gandhinagar India. Each has something remarkable in common – they are changing for the better, and they want everyone to take part! Our 'Open Green Map' participatory social mapping platform is creating a low-cost new way to promote, share and enhance the sites making progress toward sustainability as well as highlight the challenging places that can be turned around with community involvement. Green Map System has also created new youth tools, updated our globally designed iconography and much more to support locally-led Green Mapmaking projects. Click GreenMap.org for 360 unique published editions and to explore the first 36 participatory maps now online at OpenGreenMap.org. Continue reading Looking Back at 2008: An Example from the US. Travel Weekly Cruise Club and Complete Cruise Solution members were asked what innovations they think passengers would value most on future ships. Continue reading Travel Weekly Cruise Club on the Needs of Travelers with Disabilities. Con el inicio del nuevo a?o, el Ayuntamiento de Santander pondrá en marcha el 'Plan Integral de Accesibilidad, Santander Dise?o Universal', cuyo objetivo es hacer de la capital cántabra una ciudad totalmente accesible. Así lo aseguraron ayer los concejales de Autonomía Personal, Roberto del Pozo, y de Infraestructuras, Vivienda y Urbanismo, César Díaz, quienes explicaron que los primeros trabajos comenzarán por General Dávila y Avenida de los Castros. Continue reading Santander: 'Plan Integral de Accesibilidad, Santander Dise?o Universal' (Spanish). What is the difference between a minimum standard and a best practice? How can your agency achieve ensure people with disabilities are fully included? This session will discuss the findings of new study of best practices for accessibility in parks and recreation conducted by the National Center on Accessibility. Hosted by the Indiana Park and Recreation Association state conference, January 21-23, 2009, to be held at the Bloomington Convention Center. Continue reading Best Practices for Accessibility in Parks & Recreation. The Olympics in Greece left some accessible infrastructure from the games and a bit more enthusiasm for innovative approaches to accessibility for the mobility impaired. Progress is not uniform throughout the country but these photos illustrate some solutions that have been put ito practice. Explanations here at "Nine essential strategies for 2009"
Shifts in the economy mean shifts in the balance in power - and travel patterns - between nations. The current economic shift takes place at a time of historic age reversal in populations where older citizens outnumber younger working age adults. Many are turning their attention to addressing a situation that is already upon us as in How Boomers Will Transform Growing Older in America Part 1 and Part 2. Rita R. Robinson summarizes the presentation of several speakers a the recent Pig in the Python: Design for Aging Forum. Continue reading The Shift Gray: How Boomers Will Transform Growing Older. The crisis-hit travel & tourism industry is now in search of truly meaningful, sustainable, long-term remedies. And the answers can be found in Asia. The four primary business models and philosophies that will, without a doubt, become the future pillars of the industry were compiled for the first time in a study presented at the first ITB Asia in October 2008. The holistic social, economic, cultural and environmental concepts of Mahatma Gandhi, the kings of Thailand and Bhutan, and Nobel laureate Muhammad Yunus contain clear pointers for a more realistic revival of the industry in a way that puts the fundamentals of need above speed and greed. The study was commissioned by ITB Asia, and compiled by Imtiaz Muqbil, Executive Editor, Travel Impact Newswire. It is available free of charge upon request. Industry conferences seeking more information about the study, and/or willing to hear insightful forecasts from a travel trade journalist ready to challenge conventional wisdom and stoke democratic public debate on issues that matter, can contact Imtiaz Muqbil at Trang web cá cược trực tuyếnimtiaz@travel-impact-newswire.com. Industry conferences seeking more information about the study, and/or willing to hear insightful forecasts from a travel trade journalist ready to challenge conventional wisdom and stoke democratic public debate on issues that matter, can contact Imtiaz Muqbil at imtiaz@travel-impact-newswire.com. We will be using Darcy's paper as background to prepare presenters at the 2009 SATH Conference for the panel, "Will this Hotel Fit My Needs?" Some new ideas will be presented involving streamlined accessibility audits and videotaped room reviews. In the meantime, while the travel industry stumbles idly in the general direction of a solution, the folks at Dapper may have created a way to bootstrap to Internet stardom the first hotel chain to get it right. With accurate and relevant accessibility information captured in its databases and exposed for web developers to use ( to "mashup") such innovators could see themselves as Internet celebrities with a viral word-of-mouth campaign online promoting them. Who might these disabled-friendly innovative hotel chains turn out to be? My bets, based on past and current exemplary performance, would be Microtel in the US, Protea in Africa, or the ITC-Welcome group in India. 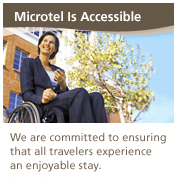 Continue reading Advertising Hotel Room Accessibility. The following announcement was just released on a lawsuit to make Golden Gate National Recreation Area accessible. Continue reading Accessibility in the Golden Gate National Recreation Area. Stories on Universal Design in homes keep getting better and better in the mainstream US press. Partly that is the convergence of promotion of UD by AARP and serious efforts by home appliance m=designers to accommodate the very real desire of the Boomer population bulge in aging in their own homes. Partly is is the tireless advocacy of Eleanor Smith and allies for Visitability at Concrete Change. Partly it is just good research and interesting writing. Continue reading The UD "Boom" in Housing Design - Aging in Place Will Impact Hotel Design. Surveys from Bangladesh, China, the Philippines, Thailand and Viet Nam reveal that injury is the leading cause of death and disability among children. The Disabled Sailing Trust NZ is seeking help to fundraise, build and operate a 15-metre purpose-built catamaran that can be sailed by a disabled crew. Families and caregivers will also be able to enjoy sailing adventures and water activities from a few hours to a few days. allowing wheelchair users full access down in the hulls via hydraulic lifts. through the adapted controls under the supervision of a qualified skipper. Continue reading Disabled Sailing Trust NZ. Miami was chosen for the first Cruise Ship Center of Expertise (COE) in Miami of the US Coast Guard. Announced on September 30, 2008 this is the first in a series of Centers of Expertise that will be located throughout the country. Each Center of Expertise will focus on a specific segment of the maritime industry. We can hope that the Coast Guard will develop an expertise in maritime application of Universal Design and become a point of dissemination of best practices. Continue reading US Coast Guard Cruise Ship Center of Expertise. About one in five U.S. residents - 19 percent - reported some level of disability in 2005, according to a U.S. Census Bureau report released today. These 54.4 million Americans are roughly equal to the combined total populations of California and Florida. Among those with a disability, 35 million, or 12 percent of the population, were classified as having a severe disability, according to Americans With Disabilities: 2005 [PDF]. Continue reading Number of Americans With a Disability Reaches 54.4 Million. The recent closure of Bangkok's two airports was an unforeseen and unpredictable event never experienced before in Thailand. We sympathise with all of you who were affected and the distress it caused. In realising your plight, the various related agencies of the Thai tourism industry did everything possible to alleviate the inconvenience incurred upon visitors. Hundreds of people across the spectrum of the Thai travel and tourism industry worked round-the-clock to help the thousands of tourists seeking to be reunited with their families and friends. With regards to the efforts of the Ministry of Tourism and Sports, Tourism Authority of Thailand (TAT) and together with entire private sector, we provided accommodation and meals, as well as facilitated tourists as much as possible. Some emergency flights were also operated from other airports, and city terminals were established for tourists to undergo early check-in procedures. Once the all-clear was declared, the entire tourism industry moved expeditiously and urgently to get the airport open again. 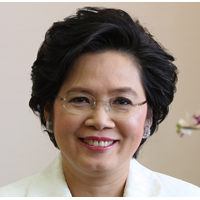 Continue reading A Message from the Tourism Authority of Thailand. Continue reading Outdoors in South Africa: Fly Fishing. Ok, your first question is, "Where's Outenqua? ", right? Actually they are a mountain range in South Africa. The Outenqua Wheelchair Challenge is hosted by the town of George which itself is in the scenic section of the country known as the Garden Route. But Challenge participants are not likely to be taking time to "smell the roses." This little town puts on one heck of a wheelchair sports challenge. And its gaining attention around the world. Continue reading Outenqua Wheelchair Challenge. "If you're a home builder or developer and 15.5 per cent of your potential customer base is disabled, why would you not think about ways to incorporate accessibility into building design?" he asks rhetorically. "In tough economic times, you can't just write-off that much of your potential customer base." To really hit his point home, Onley tells me about shopping excursions with his wife Ruth. He says there are occasions where he doesn't feel like going into a store with her so he sits in the car, waits and watches. What he sees, however, is proof that accessibility affects everyone. "Human behaviour is very interesting," he said. "If you are outside a hotel or store, just watch as 90 per cent of able-bodied people use a wheelchair ramp instead of stairs to get into the building. It's simply easier and you never hear of someone falling up or down a ramp. It just shows you how important accessibility is for everyone, not just the disabled." Continue reading Ontario Lt.Governor David Onley: Passion Meets Political Power on Disability. Nelson Mandela Bay Tourism is an association with the objective to generically promote the City and surrounding areas. The Association is located in the city of Port Elizabeth but maintain representation and communication throughout the Metro and surrounding areas via a network of tourism organisations and information offices. "By 2012 the Nelson Mandela Bay and surrounds will be recognised locally and internationally as a special and distinctive "must-experience", world class destination in Africa, renowned for its very own character, experience and friendliness and also for its commitment to its stakeholders, communities and the environment." Continue reading Community Based Rehabilitation. One of McGrath's objectives is to put this subject more firmly on Dubai's strategic agenda; 'One of the top ten issues in the hospitality industry in 2007 (sited by the International Society of Hospitality Consultants) is the changing demographics of our world and the resulting impact on travel trends', added McGrath. Continue reading Michael McGrath's Dubai '24-Hour Dubai Accessibility Endurance Challenge'. Special Needs at Sea offers equipment for travelers with disabilities. They have just announced a program to partner with travel agents allowing agents to source equipment for clients and make a seamless one-stop experience for their clients. The company offers electric scooters, wheelchairs, power chairs, oxygen, supplies for companion animals, hearing devices and Braille printing. Continue reading Special Needs At Sea Announces Commission Program for Travel Agents. Continue reading 25th Annual Pacific Rim International Conference on Disabilities. Alexa has spoken! Who are mere mortals to argue? The Rolling Rains blog is #51 in popularity rating among design blogs. See Alexa's Top 90 Weblogs. It is widely recognised that people with disability are among the poorest and most vulnerable in developing countries. The United Nations estimates that approximately 10% of the world’s population, or approximately 650 million people, have a disability and about 80% of the population with a disability live in developing countries (UN Secretariat Disability Paper E/CN.5/2008/6 available at www.ods.un.org). People with disability face many barriers to full participation in society and are likely to face an increased risk of social exclusion. This may include being unable to access education, health services, earn a living or participate in decision making. Social exclusion is a major contributor to the level of poverty which people with disability experience, particularly those who live in developing countries. The Australian Government recognises that poverty is both a cause and consequence of disability and is committed to ensuring that the benefits of development reach those who are most excluded. Further, to achieve the targets set for the Millennium Development Goals and to alleviate poverty, the Government believes that people with disability must be actively included in development activities and processes. Therefore, people with disability have been identified as a priority for Australia’s aid program. Continue reading From AusAID website: Disability in Australia's Aid Program. * Information for persons wanting to take their guide dog into National Parks. * Detailed account of physical access to every tourist location in Kruger Park, including all camps, gates, picnic sites, hides, historical sites and other get-out points. Indicates presence of access ramps, adapted accessible toilets etc. * Summary of Accessible Camping in South African National Parks. Highlighting which camp sites have accessible ablution facilities. * Transport and Tours – recommendation of tour groups for people with disabilities and car hire of converted vehicles. * List of Disability Contacts – some organisations in South Africa that represent people with disability and their rights to equality. Continue reading South African National Parks. Japan's Shutoko Group (Metropolitan Expressway Co. and Metropolitan Expressway Service Co.) reopened its revamped, more eco-friendly Yoyogi parking area on Route 4 of the Shinjuku Line (inbound) on April 26, 2008. With this renewal, the number of cars that can be parked in the parking area has increased to 41, which is about twice as many as its conventional capacity. In the rest rooms, larger toilet stalls were installed so that elderly people and those with children can use them more easily. The Group also increased the number of multipurpose restrooms equipped with a nursing-care bed for adults. The concept of universal design has been adopted in every part of the facility. Electricity generated by solar panels provides the power needed for lighting and other electrical needs, and a hybrid electric power facility utilizing sunlight supplies power to the public for free to recharge their cell phones. The facility features many other innovations, including the non-heat-retaining insulated pavement used in the parking lot, greenery planted on the roof and the barrier that divides the main expressway lanes and the parking area, and multi-pane low-heat-transfer windows. Other environmental concerns are being addressed by doing things such as installing planter boxes on the facility's wall and planting tall trees on the grounds. In addition, the Group aims to create green spaces that complement the local environment of the adjacent Meiji Jingu forest. Continue reading Imtiaz Muqbil on an Agenda for the Tourism Industry. Chow Kon Yeow is working on a master plan for Penang's transportation systems which will be implemented in 2010. He said the project address buses, taxis and ferries, and at airport terminals for commuters. "Our objective is to introduce a universal design concept to cater for the disabled and the elderly," he said at a forum "Making Penang Accessible" yesterday. The state government is considering increasing the width of pavements and building more ramps for the wheelchair-bound. Chow also launched a two-year pilot project to introduce disabled-friendly amenities, undertaken by the state Economic Planning Unit, the Federal Government and the United Nations Development Programme (UNDP). He said the state government would seek feedback from local authorities, various transport stakeholders and non-governmental organisations to help implement the project. UNDP representative James George Chacko said Penang was chosen for the project because of its comprehensive range of road, sea and air transport modes. "Penang will become the model public transport system which other states can emulate," Chacko said. Continue reading Judy Wee Advising Penang on Public Transportation Accessibility. Follow a young crew from the EU on their adventures in wheelchairs through South Africa. Continue reading Journal for Disability and International Development – Call for Contributions. Universal Design in public transit is a key factor in developing a destination-of-choice for travelers with disabilities. Accessible train and bus systems that link to airports make travel in an unfamiliar place feel safe and more convenient. The Metropolitan Transportation Authority has installed a new talking kiosk at Penn Station. The device, which gives detailed verbal navigation advice in association with a tactile map, is yet another innovation in inclusion. Personally, I like the added feature of "indoor virtual birdwatching" from the alerts it emits! "We're really looking at systems here that are fully accessible to people with a variety of different needs, but also are completely usable and inviting to members of the general public," said Steven Landau, director of research for Manhattan-based Touch Graphics, which developed the technology for the MTA. "This approach to universal design is the wave of the future." The wall-mounted device, which resembles an automated teller machine, is located between tracks 14 and 15 of the Long Island Rail Road in the main terminal and makes its presence known by emitting the sound of a lark sparrow. A customer uses a tactile map of Penn Station that includes a "You are here" type of star with an indentation to communicate where he or she is relative to the surroundings. A programmed voice also will give instructions to a destination; for example, explaining that to get to the escalator to New Jersey Transit, one must "with your back to the kiosk, walk forward with your angle slightly to the left." Continue reading Birding inside Penn Station? - No, Just More UD Coming Home to Roost. * Editorial – Conselho Editorial: "Turismo Especial." Sue Davies, of the UK’s Disabled Travel Advice, wrote to share the word on their new public interest web site at www.disabledtraveladvice.co.uk/home.htm The site focuses on the disabled travelers’ needs and provides great tips for everything from traveling with pets to staying in hostels. Where else would you find an article like Dealing with Mobility Scooter Rage and Motorcycle Riding for Disabled Drivers? Disability View, an organisation which provides current and useful information on disability in Britain, had sent its editorial representative to Malaysia on an educational trip jointly organised by Wings on Wheels, a specialist travel company for people with special needs, Malaysia Airlines and Malaysia-based travel agency Diethelm Travel Management. In its September/October 2003 issue, Disability View's magazine reported that although it took a considerable amount of "woman-handling" to get Jones in and out of the boat and to lunch, the excursion at the mangrove swamp was "worth the effort" and, according to [Helen] Jones, "the boat ride to look at some of the country's marine life was 'just amazing'." One of the byproducts of travel preparation is the generation of many more possible itineraries than I could ever possibly experience. That's where readers of Rolling Rains come in handy. Together we can experience - and report on - much more than any one person is able to. If you have experienced the Outeniqua Wheelchair Challenge, found an adapted boat with SA Sailing, journeied down one of these hiking trails, or tried out any of the South African National Parks features listed below please let us know your experience. Continue reading Outeniqua Wheelchair Challenge and More in South Africa. When four-time Paralympian and world traveler Sharon Myers entered her handicap-accessiblesuite in Dubai's world-renowned Burj Jumeriah Hotel on a visit four years ago, she was amazed. It was the most luxurious room she had ever seen. Myers had no problems accessing the suite's second floor on the elevator, no difficulty getting through the widened doors, and the bathroom's roll-in shower, she says, was not only fully accessible, but it was absolutely gorgeous – covered in blue and turquoise tiles – the most elegant she had ever seen. Continue reading Moving Dubai Ahead. 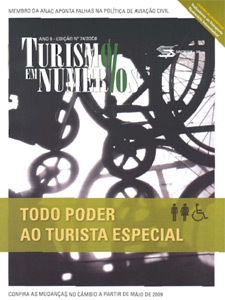 Continue reading Important New Book: Accessible Tourism: Challenges and Opportunities. Travel agents are a resourceful lot. It's their job to be geographers, bargain-hunters, problem-solvers, diplomats -- and insatiably curious! After posing the question to myself this morning about the accessibility of tourism in South Africa I began an online researching path that led me to the South African Fundi certification on the country. Continue reading South African Tourism Certification: Fundi. The National Association of Home Builders (NAHB) and the AARP will host a briefing on Universal Design and the 50+ housing market. The briefing will feature the four national winners of the 2008 Livable Communities Awards. The awards honor builders, developers and remodelers that create attractive, well-designed homes and communities that are comfortable, safe and accessible for people of all ages and abilities. Continue reading Winners of the 2008 Livable Communities Awards to be Announced. Researchers using closed-circuit televisions to create an illusion have made volunteers virtually swap bodies, even making women believe they were in a man's body and vice-versa. The experiment, reported in the Public Library of Science journal PLoS ONE on Tuesday, shows it is possible to manipulate the human mind to create the perception of having another body, the Swedish researchers said. It helps explain how humans understand the limits of their own bodies, Valeria Petkova and Henrik Ehrsson of the Karolinska Institute in Stockholm reported. Continue reading Ambioception - Sensing the Limits of Embodiment. How Accessible is Tourism in KwaZulu-Natal? I plan to discover the answer firsthand in January 2009. Watch for the travelogue. Below is their 10-day itinerary packed with options. Continue reading How Accessible is Tourism in KwaZulu-Natal?. My company offers a scholarship that I thought might be of interest to your and your readers. The scholarship is available to students who are enrolled full time at a 2 or 4 year university and use a wheelchair. Students can apply for the $500 scholarship completely online, or they can print up the application and mail it to us. In addition to completing the application, they must also write a short essay on the ADA. Continue reading Corporate Scholarship for Wheelchair-Using Student -- AmeriGlide. Gary Presley, author of "Seven Wheelchairs: A Life Beyond Polio" (University of Iowa Press) begins his article in the Washington Post this way, "This month I began my 50th year of riding a wheelchair through life. In case you're wondering, everything is all right down here." Continue reading Dancing Through Life 'Til Hell Freezes Over - Gary Presly on Gimp Life at 50 Years. All Knork - No Spork! The Buildout Bailout: Liberation Through Infrastructure or Just Another Prison Project? The suggestion to repeat the tried-and-true public works infrastructure solution for re-priming the US economy has made it up to center stage with president Obama proposing it to the nation's governors. Unless it is imbued 100% through and through with the principles of Universal Design it will simply be the largest exclusion-by-design project ever seen. Who is advocating inside the incoming administration for all infrastructure funded by this proposal be vetted for its adherence to the goal of socail inclusion for seniors and people with disabilites? The nation's governors got to work on Tuesday, taking their case to the president-elect for a $136 billion infrastructure spending program that they hope will funnel immediate government money toward bridges, roads and rail lines in the hopes of creating jobs and spurring the economy out of recession. It's not a handout or a bailout, insisted the host of the economic forum, Democratic Gov. Ed Rendell of Pennsylvania, the chairman of the National Governors Association. Rather, it's the "best remedy for getting America back to work," Rendell said. "We think that we can create literally millions of new jobs and at the same time lots of orders for concrete and steel companies and asphalt companies and lumber companies and the like," Rendell said. "None of the bailouts have created one new job. Infrastructure can create, the economists say, 40,000 jobs for every $1 billion of infrastructure spending. Well, that's a huge lift." Continue reading The Buildout Bailout: Liberation Through Infrastructure or Just Another Prison Project?. Continue reading Air Travel - Philippines. Congratulations to Edward Steinfeld, Arch.D.and Aaron Steinfeld, Ph.D on their grant from the U.S. Department of Education's National Institute on Disability and Rehabilitation Research (NIDRR). Continue reading $4.7 Million Disability Transportation Research Grant. Our focus is new homes. Not government buildings, restaurants, etc. (important as they are). Our goal is to make ALL homes visitable, not just “special” homes — to be at the party, meeting, and family reunion . . . not isolated. We narrow the emphasis from a long list of access features to the most essential: entering a home and fitting through the interior doors. So that widespread construction change is more likely to happen quickly. Steps at every entrance of a home shut out people who use wheelchairs or walkers, or have weakness, stiffness or balance problems. A narrow door stops wheelchair users from fitting through the bathroom door in a friend or relative’s home. You will also find the slide show below.